I mean, I know you can do what you want in your own game, but if I did ever want to go to an event with an allied force to show off my mad skills, it would be nice if I had total freedom. I don’t really get why GW would give us some freedom, but not trust us to be able to imagine our way into an alliance of say, Tyranids and Chaos, but whatever. It’s their game. I mean presumably they’ve done it like this for reasons of setting immersion first and foremost. That said though, I don’t get why Sisters of Battle for example are totally unable to ally with Orks, but can ally with Necrons (who slaughtered an entire outpost of Sisters in their first contact with the Imperium remember), and Eldar (who are all witches). But I digress. The main mash-up I wanted to go with was Eldar and Orks (Orkdar? Screw it, let’s go with Eldorks). I already have some Eldar and I used to play Orks back in 4th ed and loved them. So I was lying in bed last night cooking up a complicated and powerful narrative to ret-conn my Iybraesil Eldar into desperate corsairs, forced to shack up with a mercenary warboss and his boyz. I think Eldorks would be really striking on the table-top, with my ethereal, battle-worn Eldar next to some dark, mega-armoured orks and ard boyz in clanking war machines. I always really liked this picture. Then I got up in the morning and actually looked at the bloody Allies chart. Unfortunately, these guys are Desperate Allies, so my army would be under the constant threat of stalling at vital moments unless I was very careful to keep the greenskins and pointy-heads away from each other, and where’s the fun in that? So there are other options. I also wanted to re-create my old Witch Hunters, with a Hereticus Inquisitor seconding a force of Battle Sisters. Oh wait, I still have to have a unit of Grey Knights? Who are just hanging with my Witch Hunter? Errrgh. I hate them, they’re just so. . . shiny. At least my Sisters and my Guard can ally again. Or Tau. Maybe I could make some Tau and ally them to both my Eldar and my Guard? That would be the economical decision. It seems like anyone who wants lots of variety in their allies options will be working with a core force of Guard or Tau. This entry was posted on Tuesday, July 24th, 2012 at 3:48 pm	and posted in Eldar, Orks, Warhammer 40,000. You can follow any responses to this entry through the RSS 2.0 feed. « Could there ever be another 40K? Don’t worry about the desperate allies ork/Eldar stuff in our games, I think if there’s cool enough reason for it, you should be able to do it! That’s not a bad idea at all, counts-as. Imagination > everything. They could be some weird super-soldier Inquisitorial henchmen, or even cybernetic Celestians or something. Thanks! And re: the desperate allies, may as well play it by the book. 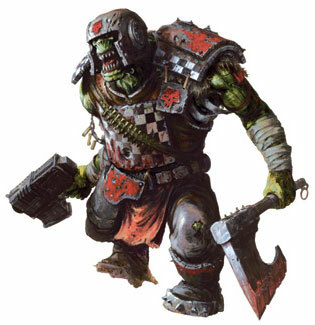 Orks are a bit random anyway and you know I like that. If we want to play a more serious game I just won't use them. Not because I think I'll lose if I do, but because it's not as much of a challenge for my opponent if my army is seriously handicapped. 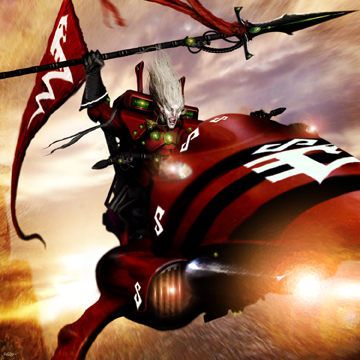 Oh, and corsair eldar? Go with Dark Eldar – that lets you ally with Orks. Uhm … never mind the last bit. Dark Eldar are also desperate allies with Orks. No-one wants Orks at their party. They break your coffee table and ruin the carpet.